This is the best way to get crewing positions. Skippers need crew who have a good understanding of sailing and are available.You will meet lots of new people. You will learn about the safety equipment and rigging the yacht. 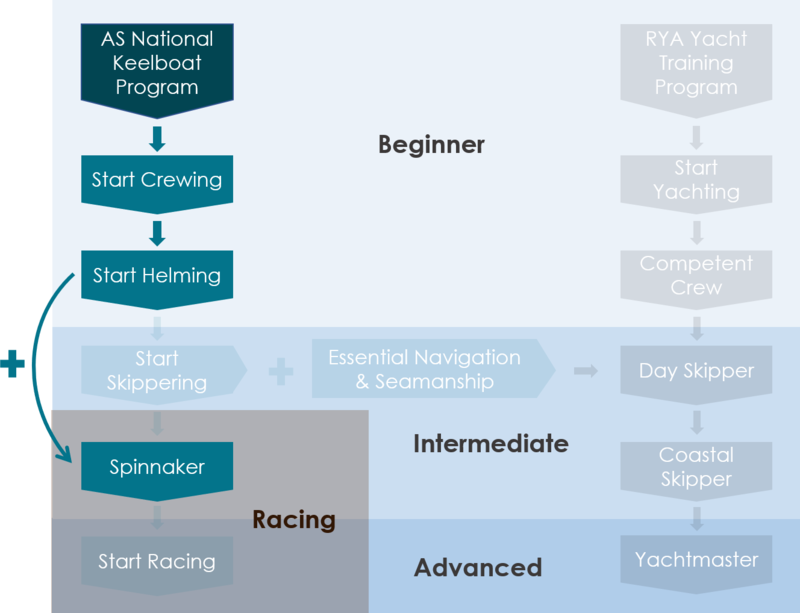 You will be comfortable with the points of sailing, going about and the gybe, rotating at the helm, reffing, picking up a mooring, man overboard manoeuvre.